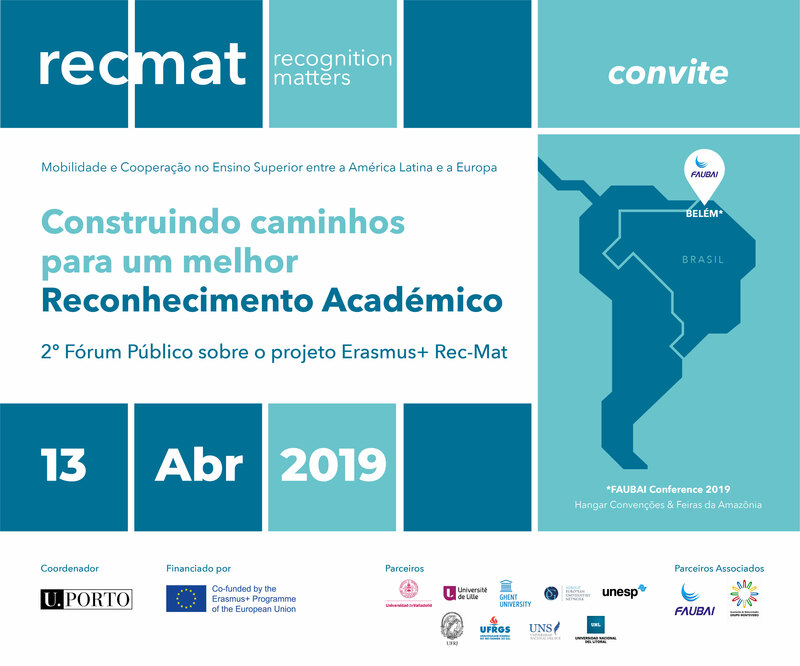 It is with great pleasure that the Erasmus+ Rec-Mat consortium invites you for the 2nd Public Forum of the Erasmus + Recognition Matters project, which will take place on the 13th of April at the FAUBAI 2019 Conference Venue - Hangar Convenções & Feiras da Amazônia - in Belém, Brazil. 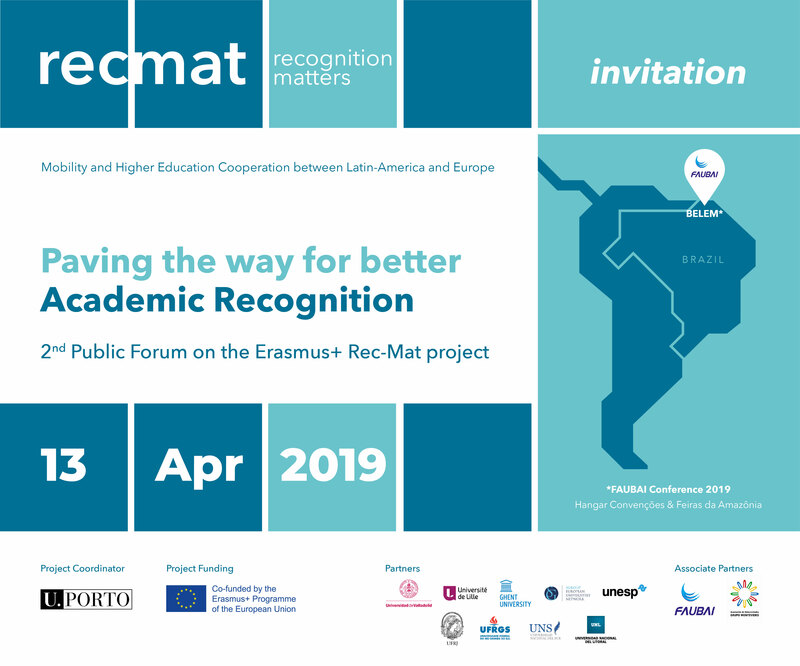 Through the involvement of authorities and expert speakers, the Forum aims at fostering discussion and sharing the project’s methodology and good practices in the field of academic recognition of mobility in Higher Education between Latin-America and EU, with HE Institutions, policy-makers as well as other relevant stakeholders. Thus, the Event targets HE institutions and other relevant organisations representatives with interest in debating and understanding academic recognition related issues to promote closer collaboration between LA and EU. Furthermore, if you are attending FAUBAI, we have the perfect programme for your first day: a session about “Academic Recognition Matters: Why to recognize? The importance of full academic recognition in EU and LA”. It will be held on April 15, at 11:30, room 3. Check out FAUBAI’s preliminary programme here. For further updates, please subscribe the Rec-Mat newsletter and follow the Facebook and Instagram pages.